Whoever said adults couldn’t have fun splashing around in water has never met the Environment Agency! Though there is more to the Environment Agency than just having fun in the water, the EA have dedicated teams that survey our rivers to obtain all sorts of data from chemical compositions to hydro-morphological form and fish to invertebrates to inform them about the health of our rivers and how best to manage them. Our very keen volunteer river splashers, ahem I mean River Wardens, wanted to learn more about invertebrates. So with that a very interesting and educational workshop run by the EA on surveying and identifying river invertebrates was held on a rather windy day at Gamlingay Eco-Hub. John and Josh, our EA trainers for the day, took us through a very practical and hands on approach to learning about invertebrates, providing an overview of why surveying for invertebrates is useful for monitoring the health of rivers and the key species we would find before heading out to the Millbridge Brook to get stuck in! Once on site and at a suitable location we were shown the kick-sampling methods the EA employ when they survey the rivers. After the demo, the river wardens were all too keen to try their hands (or should I say feet!) at practicing the technique, collecting the samples in buckets. Once we had enough samples to keep us occupied for the rest of the workshop we returned to the Eco-Hub for sorting and identification. With expert oversight, incredibly useful ID guides/books and fuelled by tea and coffee we worked through the sample sorting out each into the separate Orders. After a short session we had at least 10 different orders separated out with the River Wardens having a fairly good grasp over the differences between them, after a spot of lunch we had a go at identifying the inverts down to family level with good success! 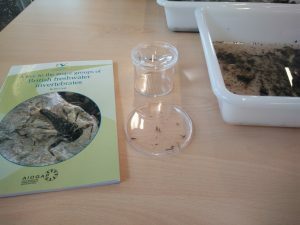 We were all pleased to be able to see such a diversity of invertebrates living within the local freshwater environment. It certainly gave us plenty to look at on the day! 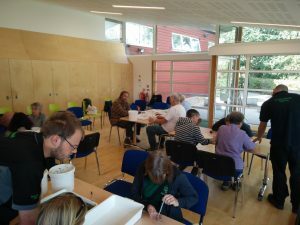 Identifying freshwater invertebrates, like with all identification, is definitely a case of practice makes perfect! We will aim to have a practice session or two before letting the wardens loose to see what inverts they can find on their own stretches! Funded by Anglian Water and the Environment Agency, the Upper & Bedford Ouse Catchment Partnership is pleased to be supporting the farming community by organising two Farm Business Resilience events in March. Aimed at farmers and land owners/ managers, guest speakers will present topics including the impacts of Brexit on farming, pesticide regulations, no-till farming and new Wildlife Offers under countryside Stewardship. We will be holding a session to train River Wardens in walk over surveys at Jordans Mill, Biggleswade on the morning of the 29th of March 2017. Location: Wadelows Nature Reserve, Toddington (nr J12 of M1). The Upper & Bedford Ouse Catchment Partnership has had a very productive year, including: welcoming new members, developing our website, updating our Vision and Objectives, holding community engagement events, contributing and commenting on EA plans and strategies, producing a funding strategy; and delivering a number of river restoration projects. On March 23rd 2017 from 10.00-1.00 at the Forest Centre, Marston Moretaine, we are holding our ‘Spring Symposium’ which will include presentations on many of these activities and updates from some of our neighbouring Catchment Partnerships. This will be a great opportunity for people to hear more about our work, so please do spread the message far and wide. The Upper & Bedford Ouse Catchment Partnership (UBOCP) will be holding a community engagement day on Biggleswade Common on Sunday 13th September 2017. 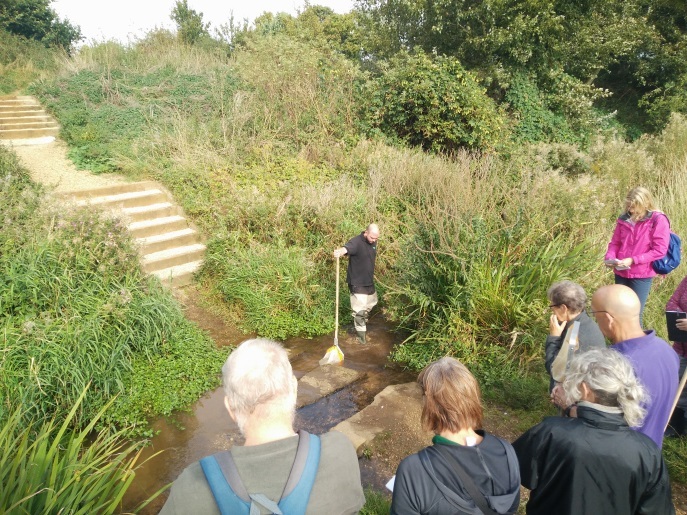 The event, which will run from 10.00am to 3.00pm will provide information on a wide range of issues, as well and a hands-on opportunity to support river restoration works on the River Ivel. Visitors are welcome to pop in at any time, for as long or short as they wish. Information on topics such as water quality, angling, invasive non-native species, habitat conservation and rivers restoration techniques will be available. Members of the public who want to roll their sleeves up will be able to assist in constructing willow bundles which will be used to help protect sections of riverbank against erosion. 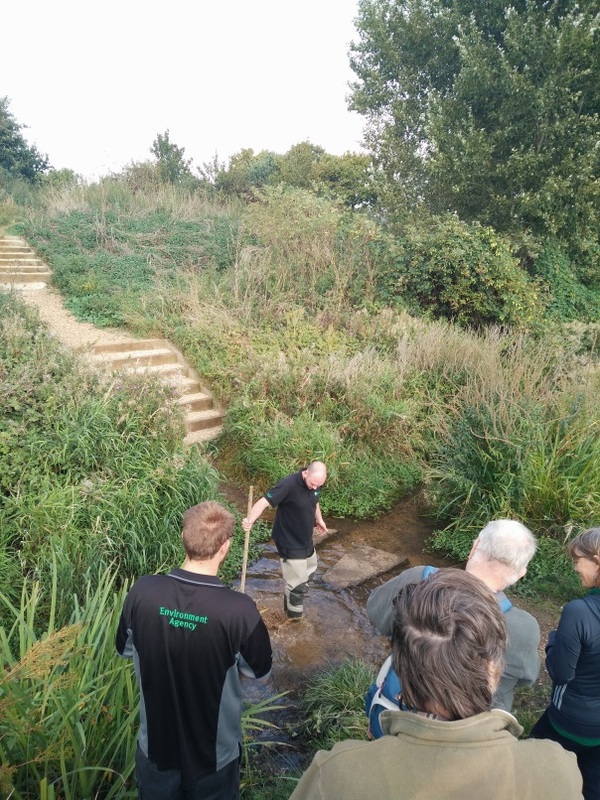 Bedfordshire Rural Communities Charity and the Environment Agency, both key members of UBOCP, will host the event, which will be located where the River Ivel is joined by Bells Brook – approximately 400m (5 minutes walk) north of the Dan Albone Car Park. The practical works being undertaken are part of a series of enhancements being undertaken with funding that UBOCP secured from the Catchment Partnership Action Fund. Further works to be undertaken on the Ivel at Biggleswade common over the coming months include re-profiling of the most-eroded sections of bank, fencing, tree planting and the provision of designated cattle drinking areas. Find out more about the Upper & Bedford Ouse Catchment Partnership.